The next generation processor war is definitely on, we’ve already had a look at the promising big.LITTLE A53/A57 combination, and now its Qualcomm’s turn to hint at what it has up its sleeve for the next batch of processors. 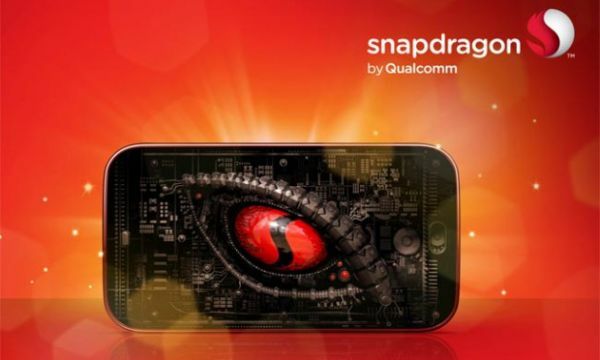 This time it’s not about raw CPU power, but what the new Snapdragons plan bring to graphics and gaming. The new Snapdragon 600 and 800 chips, which were shown off at CES earlier this year, are the first processors to receive certification for OpenGL ES 3.0. The Adreno 300 graphics processors used in the Snapdragon chips will be supporting this new technology, which will bring a host of new features for developers and gamers alike. Who needs a new API? You might be wondering why a new API (application programming interface) is really that important. Considering we are so used to hearing about clock speeds or the number of cores, APIs are often overlooked but are equally as important when it comes to delivering high quality graphics orientated products. Low level APIs, like Microsoft’s Direct X and OpenGL, allow developers to utilize graphics hardware without having to write everything from scratch. In other words, graphics APIs work as libraries of pre-coded instructions for developers to use, drastically speeding up development time. Credit: IVIS Tessellation is an example of an API dependent feature. New hardware and new APIs tend to go hand in hand, allowing for developers to easily access new hardware features. This is why OpenGL ES 3.0 certification is quite important, devices using Qualcomm’s Snapdragon 600 and 800 processors will be the some of the first to have access to the latest graphical features. OpenGL ES is a royalty free API based on OpenGL, so it’s commonly used by smaller developers designing 2D/3D applications for small, portable electronic goods. OpenGL ES 3.0 adds several optional features which will improve the performance and quality of smartphone games. Delving into the specifics, the introduction of occlusion queries will allow an application to better determine the visibility of objects, reducing the number of vertices rendered on screen when they can’t be seen. This should see games run a lot smoother. The update also sees the introduction of instance rendering, where duplicate items can be rendered with slight alterations without the usual associated performance costs. Transform feedback for particles and support for four or more rendering targets will also assist developers in producing superior looking games. More noticeably for end users, OpenGL ES 3.0 includes support for superior ETC2 / EAC texture compression, allowing for higher quality compression. This means that developers can squeeze slightly higher quality textures into the same file sizes. This will not only free up GPU memory, games will also require less space on your SD card. Perhaps most importantly of all, OpenGL ES 3.0 is fully backward compatible with OpenGL ES 2.0. So if you’re planning on buying a device powered by a next generation Snapdragon processor, you’ll still be able to play games using the older API. Whilst many of the technologies introduced in OpenGL ES 3.0 have been around in the 3D gaming space for a while on high end hardware, it goes to show that smartphone and tablet hardware manufactures are taking gaming more and more seriously. However it’s unlikely that gaming on Android will be dominated by OpenGL ES 3.0 devices in 2013, as many Android gaming orientated platforms launching this year, like OUYA, will still be using OpenGL ES 2.0. But that’s not to say that come late 2013 or 2014 we won’t be hearing more about support for newer APIs like OpenGL ES 3.0 or DirectX 11. Qualcomm is certainly putting itself in a good position for the coming years by being the first to market with the latest graphics technologies, but it isn’t the only one looking to future proof its chips. ARM’s brand new Mali-T600 series should also be OpenGL ES 3.0 compliant, although it is still awaiting certification. There isn’t any confirmation about which chips the new Mali GPUs will be appearing in as of yet, but if we see one thrown in along side one of ARM’s high performance big.LITTLE CPU’s, then we could well be setting ourselves up for a showdown between Qualcomm’s Snapdragon 800 and ARM’s A53/A57 at some point in the not to distant future.